A couple of years ago, one of my friends got married. It was a beautiful wedding because these two people are so incredibly in love. It exudes. A few months after that November wedding, I got an angry text from my friend. Since they were married in the previous year, they had to file their taxes as a married couple. It turns out, that meant a drastic change in their tax return. Rather than getting a refund, as they had in the past, they had to pay. Fast forward to today. Since I've gotten engaged and started planning our January wedding, people have told me to have a December wedding so we can enjoy the tax benefits. Huh? After hearing conflicting information for about a month I finally made an appointment with my accountant. I took our pay information so he could give me a final answer: Will we be likely to pay more or are we safe to expect a return? I learned that every situation is different. He told me that there are tax breaks for couples who get married when there's a stay at home spouse, for instance. But Will and I are both earners so we would actually have ended up paying up if we had gotten married at the end of the year. I'm no tax expert. At all. But I do advise you to see how marriage will impact your taxes for your own sanity. My friend and her husband had a road bump in their first six months of marriage because of taxes. They were fine in the end, but it was a very stressful realization in the moment. Since money is the number one reason couples fight, I think it's good to not only look over things like taxes while you're engaged but also to talk about personal finance. As far as taxes go, it'd be easier to know you're going to pay in and save accordingly than to be faced with that surprise. Will and I watched the Dave Ramsey Financial Peace University series together. We outlined our personal debt and monthly budgets so we could understand the other person's situation and money philosophy. It's obvious now that he's going to be the saver, and I'm going to be the spreadsheet nerd who bugs her accountant with questions. :) I'm so glad we have taken the time to understand how we want to move forward together. I need to be real for a second. Planning a wedding is stressful. Not just to the couple, to the family. Not just to the family, to the friends. It's a cluster of confusion and tension. The trick is figuring that out before you let your troubled mind get the best of you and strain relationships. Let me make the case in a simple point. I have the sweetest mother any imagination can conjure. She gives to the point where it interferes with her own life. She constantly considers a situation from the point of view of the other person involved. You couldn't imagine a more genuinely tender-hearted person. But she is still a first born child. And, if you don't know, there's a whole theory on the traits associated with first-born children. My Mom wants me to have it all. And I appreciate that, but I cannot -- in good conscience -- be that level of a diva. The problem seems to be that she raised me to be a decent person. Decent people don't take their parents for all their worth. They just don't. 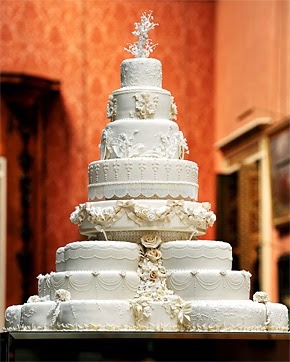 For reference, I believe that's a photo someone took of Prince William's wedding cake. To me, simple cakes that don't cost a fortune are precious. 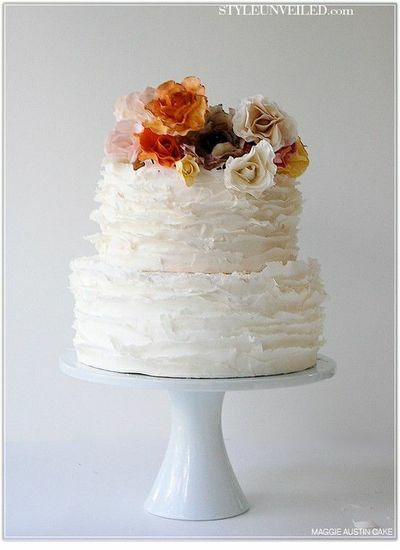 I actually want a Kroger wedding cake, which my Mom is, well, shocked imagining. But what's the point in spending $800+ on a cake? No one remembers the cake, as long as it tastes about average and feeds everyone. So there's a little misunderstanding when Mom and I talk about wedding planning. She wants to give me the world. I just want simplicity. (Ok, except that time we went wedding dress shopping. I was happy to let her pour on the spoiling that time.) And I know, and remind myself, that this is her only chance to throw a wedding (only child thing). I know she's doing all of this out of love and the desire to make me happy. So I can't freak out about it. Because she's too incredible and her intensions are too pure to warrant that. I have to stay mindful. That's one relationship example. There are so many other stresses. I seem to be having three main issues in terms of relationship tension. I am very free spirited. My version of planning often involves throwing something together two days in advance. It can be a problem. It's going to be especially challenging to plan things since, well, my future mother in law is four hours away, my parents and MOH are over two hours away, and one of my bridesmaids is a stay at home Mom (read: no babysitter). So I'm dealing with a lot of people who need time to sort out how they're going to attend showers and all those other events. I don't think there's a calendar big enough to stay in my face about all of that. Honestly, aside from our parents, there aren't a lot of people who have much pull on wedding planning. It doesn't mean I haven't picked up great tips from people. I have. It just means I try not to stress when people start dishing out unsolicited advice. Some of it is really helpful. The rest is harmless; it can be discarded after respectfully hearing a person out. Again, when a person has good intensions, it's best to honor that and let them have your ear. This kind of goes along with everything I've been saying. When you know someone loves you and wants the best for you, you've got to cut them some slack. I once knew a girl who hung up on her mother because they couldn't agree on the right font for disposable reception napkins. I realize she was probably reacting to other pressures and stresses, but that really spoke to me. It let me know how vulnerable we all are when it comes to being in a bad position and having other people chime in with solutions. We can flip a lid pretty easily, because we're human. But there's another way. Through the process, I am aware that one of two things will happen. Either the joy of our pending wedding will draw me closer to my people, or the stress of planning the wedding will create tension between us. I want to support the first option. This wedding is not going to be perfect. There will be no television special noting all of our vendors and guests. It's just going to be a reason to be happy and be with loved ones. I hope that I can find ways to make decisions that are kind to the people I love. That doesn't mean I'm caving to every request, but I hope it does mean that I show respect and kindness when I disagree. God help me. I really want to come out of this thing with good memories. The ultimate action after getting engaged is insuring your engagement ring. Must be done. ASAP. It turns out, sometimes it's not a phone call away. In fact, I found myself in an interesting predicament. Most people insure their ring by attaching it to their home owner's or renter's insurance. Ummm...I'm a Dave Ramsey fan, and I haven't been carrying renter's insurance. I know, it's shameful. Before I continue on with that topic, one quick note. When you don't have renter's or home owner's insurance, some insurance companies allow you to insure your ring through what they call a jewelry floater. It's a bizarre little freestanding insurance policy for things like...your flashy engagement ring. At least, I've hard there's such a thing. I've yet to find anyone willing to provide the option. It's like a unicorn. Or Sasquach. Rumors are there, but no evidence has been produced yet. Ok, let's continue on with the concept of renter's insurance. Trying to insure my ring has taught what an incredible idiot I've been, going without renter's insurance all this time. It's not expensive (my policy is $16 per month). It's peace of mind. You can cheaply attach things like your engagement ring to it and sleep better at night. Of course, everyone hopes they don't have to use it. But we've all heard horror stories about people who needed it and didn't have it. Can you imagine the expense of replacing run-of-the-mill items? Pots. Pans. Pants. Shoes. Washer. Cosmetics! (Is there a meeting for Sephora addicts?) I don't need to go on. Those things add up to a huge bill. Most of us couldn't pay to replace many items. If you find yourself in a similar situation, I suggest shopping around. My insurance agent was able to reduce my car insurance so that I could not only add renter's insurance, update my car insurance, and add an engagement ring schedule -- but also I could do all of that and still come out saving money. Ok. Look. I've seen plenty of romantic comedies. I know the unattainable, lofty ideas they put in a girl's head, and I'm here to deny my brainwashing that 1) You will have an amazing time trying on dresses and 2) You will 'just know' when you find the right one, and it will be within your budget. Let's talk about wedding dresses. After seeing such out-of-budget and idealistic things, I went to try on wedding dresses. Of course, I had to make an appointment to try on dresses at the ultimate bridal shop. Since they put me on a list AND charged a registration fee, I felt this might be the kind of place I shouldn't step foot inside without a little experience under my belt. So my roommate and I went to a chain bridal store to test the waters. After trying several different styles on and learning a little lingo, I felt ready to go to the wedding dress mothership. It turns out, the wedding dress mothership was quite impressive. There were three stories of glorious dresses. It also turns out they had my dream wedding dress -- in a size negative zero (only one they had) for about two thousand dollars more than I could spend. These things happen. So I took a breath and moved on into the land of -other-/-real- possibilities. I shopped around in the room holding my size with my attendant, and was fairly successful at finding pretty alternatives. Well, I got the full sorority experience. I expected to be able to use proper undergarments provided by the shop. Nope. My sorority experience began with the attendant closing the fitting room door, hanging the dresses we had chosen, and saying "Strip." Calmly. As if it were no big deal. As if she were asking my first name. There's something very awkward about that, but I was surrounded by bridal gowns so I had already sort of lost touch with the concept of normal. People say you'll have that moment. I think it's an urban myth. In my case, I kept gravitating to one dress, even as I tried others on. It wasn't that I 'just knew' it was perfect; it's that I liked it. It was the right style for me. So much for the bridal freakout of certainty. Another thing. It was nothing like the lap of luxury displayed on "reality" television. I was secretly and, ok, outlandishly hoping to be offered that glass of champagne. For my nerves, of course. :) I guess they didn't want to remove a stain from $1,000+ dresses. Oh, and it's crowded. I had to practically throw elbows at points to get around. If there was a mirror, there was a bride surrounded by fawning onlookers. It turns out, it's a lot of people's day - not just your's. -wink- Also, there is quite possibly no hall big enough for two women wearing wedding dresses to be able to pass each other. It's just not possible. One of you has to make like a squashed fly and hug the wall while holding your breath, hoping all the while that your beadwork doesn't snag on her's. Sidenote: One thing that is a little stressful is choosing who will go look at dresses with you. Unfortunately, life happens and I wasn't able to have all of the people I wanted with me. My best friend was out of town and Will's Mom is too far away to make it on short notice. I was kind of happy the mothership only allowed four guests per bride. I chose my Mom (the sweet, practical one), my friend Tony (the one with fabulous taste), and two aunts. One of the aunts was so impressed with Tony she almost became his minion. It was fun to watch. If he said he wanted to see me in a certain style, she went scrounging until she found that style in my size and delivered it to me. I guess he had an air of experience about him. I don't know. The standout lesson I learned was a tip from my attendant. She told me only to show the dresses I liked to my people. She said that all too often brides are persuaded to choose a dress they originally did not care for. That was great advice. I appreciated that she was focused on my satisfaction and was willing to find ways to turn the conversation if my people and I ever got into a debate about a dress. She was 100% committed to me being happy with the dress, not my posse. I'm not downplaying their role, because each person I took had great points and insights. But if I were talking to someone and suggesting how to make the experience a positive one, that would be my #1 tip. Try on a lot of dresses, but only show those that you like. It's your wedding dress. You don't have to be diplomatic. 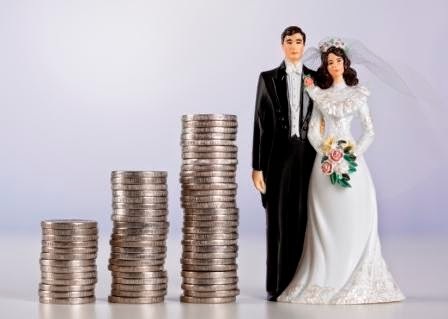 I've read the stats on how most people spend an average of a million dollars (or $25,000) on their wedding. In all honesty, I thought that was absurd. 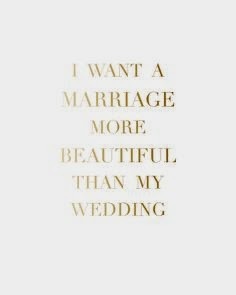 Then I started planning our wedding...without a wedding planner. I don't think it's crazy now, I just think it's an unattractive option. 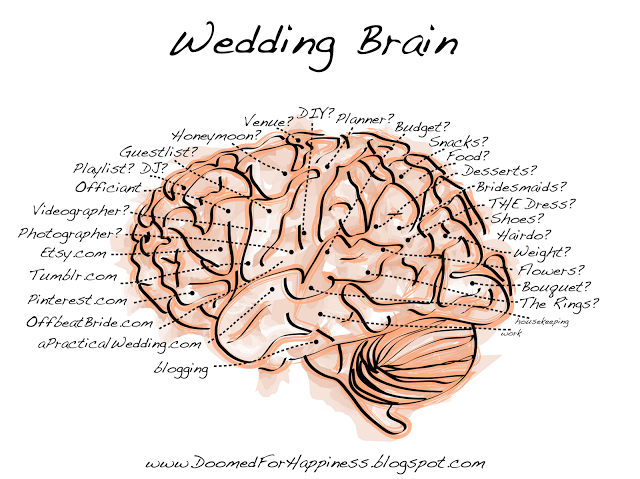 You have two available philosophies when you start planning a wedding. The first is to pay people to do things so you don't have the stress of doing it yourself. The second is to do it yourself so you save money by not paying people to do things. I have chosen the second, though I know it will cause many headaches over the next six months. It is entirely possible I will morph into a bridezilla -- though hopefully in Hulk increments that are irregular. God bless my people...and especially Will. Thankfully, he's the calm voice of reason during stressful times. 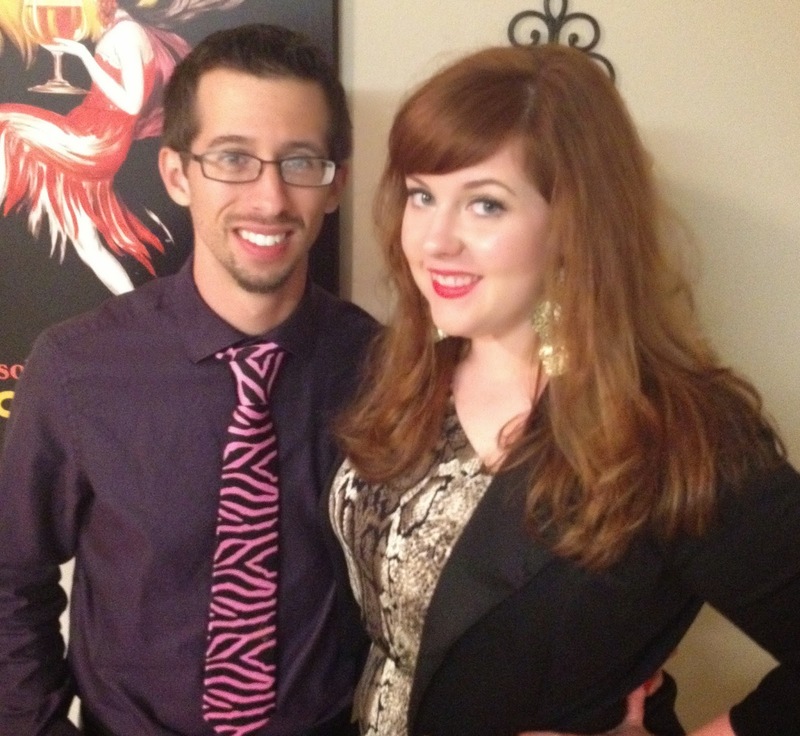 When we met, our average age was 28. (He's two years younger.) I was late for our first date. As usual. He was waiting for me at a local coffee shop. We talked for four hours. Four. Hours. We walked out as the staff was leaving for the night. The longer I knew him, the more he got under my skin - in a good way. I knew it was serious when I noticed how much he loves the people in his life. He notices what they're going through and does all he can to be supportive. Case in point. His Dad owns a small business. Will has been working on creating a retail site so his Dad can avoid the fees charged by well known sites and sell his products directly. It's amazing to know someone who is so kind and observant. That's my Will in a very small nutshell. After cooking countless meals together and learning the proper art of the road trip, we came to want more. So one June evening after work, he did the thing I never saw coming. 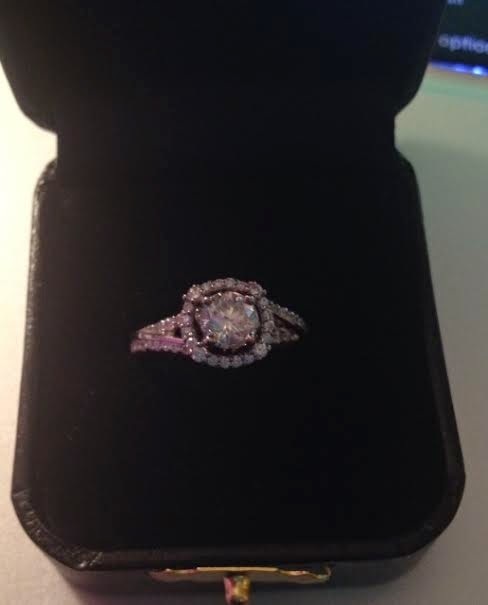 He proposed on a random week day. With a card. And a gem-shaped origami ring box. I said yes.